It is intended to write quarterly update reports for the Journal starting with the July 2016 issue (v24n3). To make web links easier to follow, there will be a short URL link (see heading) to this page and each report will be show below with active links. Links quoted in other articles in that issue may also be given. 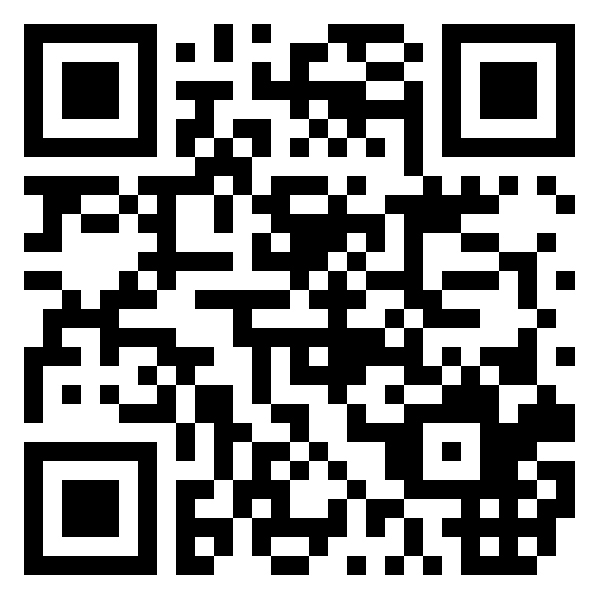 The QR code links to this page and may be used in the printed Journal to make accessing this page easier. This article is available online at www.goo.gl/hkVqST [that no longer works - use tinyurl.com/ficcreport instead]. Type that address into your browser and the online version has all the links in place, so from there you can just click. As the last report was written, the site was experiencing the highest ever level of daily page views by a factor of three and the total at the end of the day was 624. Levels remained high for more than a month but never exceeded 17th September. Page views have now dropped again to previous levels. There is a graph showing the weeks of hyperactivity on the web version of this report. We also had our 5,000th visitor on 6th November (the visitor count was explained in v26n1). In v26n3 it was reported that we had been visited by all but 5 of the USA states and travellers were encouraged to fill the gaps. There is now only one missing state remaining, North Dakota. New flags since the last report are UAE, Equatorial Guinea, Fiji, Zimbabwe,Luxembourg and our 100th country, Laos. This article is available online at www.goo.gl/hkVqST. Type that address into your browser and the online version has all the links in place, so from there you can just click. In May 2017, following the death of FICC's founding father, David Olson, his online #1s shop numones.com disappeared. The information held on his subsidiary site, NumOnesIdentifier.com was backed up to FICC's own version, forgeries.info. This has proved to be a wise move, because NumOnesIdentifier has disappeared too - presumably because the domain was allowed to expire. As I write this on 17th September, we have had more than 600 page views on the site today and that is getting on for three times the previous record set on December 19, 2017. Either there is the prospect of a new member or the site is being "crawled" by a search engine and our page contents and links are being updated in their records. Both scenarios are positive. New flags since the last report are Sri Lanka, Andorra (allegiance not specified), The Bahamas, Aland Islands, Uruguay and Papua New Guinea. Page views from Japan continue to rise and it has now taken second place in the rankings from the UK. Our flags counter accumulates most data at the national level but for the USA does so by state (50 plus Washington D.C.). We are missing five: District of Columbia, Maine, Mississippi, North Dakota and South Dakota. Please log into the site whenever you visit these so that we can complete the set. New flags since the last report are Israel, Bangladesh, Estonia, Iraq, Honduras and Morocco. The FICC catalog and detail pages have been updated with the Lithuania and Russia occupation changes reported in the last Journal. This also prompted a new detail page for the Ostland overprints. Having identified the "rise of China" in the last report, this has now been outdone by Japan. Since records began in July 2016, Japan used to be consistently in the "mid teens" in our table of visitors and was fifteenth in December 2017. In January this year it rose to seventh, in February fourth and on 1st March had taken third place from China. New flags since the last report are: Lebanon, Costa Rica, Ghana, Libya, Cuba and Cambodia. We started recording visitors to the FICC web site using Flag Counter in July 2016. At first, we only logged visits to a few key pages, but from October 2017 visits to all pages have been recorded. Since that change (a period of 54 days at the time of writing), we have averaged 6.7 visitors per day with each viewing 4.5 pages. The rise of China in those visitors has been noted. In June 2017, China was 9th in our visitors list, in July it was 6th and by September China was 3rd. On 5th December it retains 3rd place with 129 visitors (6.0% of the total), behind the UK (178 visits, 8.3%) and the USA (1,069, 49.7%). The counter tries to ignore visits from the same computer in the same week, but if you access the site on a laptop, a tablet and a mobile phone - or again after eight days - these will all be counted as "new" visitors. The system ignores the frequent visits by me, the web administrator. New flags since the last report are: Greece, Serbia, Isle of Man, Curacao, Turkey, Saudi Arabia, Hong Kong and most recently Balarus. If you have any suggestions for future developments on the web site, please make them known. The number of visitors to the web site doubled for the period mid-June to late July and I thought the SEO (Search Engine Optimisation) measures were taking effect. But they dropped down again after that to an average of around 10 per day. So the surge remains unexplained. In the last three months we have had 400 individual visitors bringing the total of countries to 68, the most recent additions being Pakistan, Nigeria, South Africa and Nepal. The remaining detail pages to the end of the FICC catalogue were completed in July and August. This was much earlier than the target of the end of the year and attributable to some hard work and the earlier geographic approach: all the European pages were written in 2016 and most first issues since 1990 have been from Europe. There is a list on the web site of images not yet included in the web catalogue. If you have any of the stamps that are "missing", please send a scan at your highest resolution to webmaster@firstissues.org. The next stage, after a break for other projects, will be to fill the blanks in the FICC Catalogue pages - mostly perforation and watermark details and the like. We have had a total of 1,140 visitors from 64 countries since July 2016, when records began. That's just under 400 for the quarter-year with five new countries: Latvia, Austria, Egypt, Lithuania and most recently Iceland. The project to write detail pages for every entry in the Catalog began in late 2015. Page 5 (1900-1913) is nearly complete and that is well over half way. There is a reasonable chance of completing the work by the end of 2017 or early 2018. Members are invited to check the pages for inaccuracies, either philatelic or linguistic and report them to webmaster@firstissues.org. After receiveing the sad news that David Olson had died, the information on his numonesidentifier site was preserved in a new companion site for FICC at forgeries.info. David's stamp site, a great source for images, has already been removed. Invitations were sent to all FICC members to join the online forum and 21 have done so. The invitations are time-limited so if you need another, just write to webmaster@firstissues.org. Postings have been sparse so far, but it is hoped that traffic will pick up. As at 3rd February, we'd had 757 visitors from 59 countries, the most recent new flags being Finland, Jamaica and Iran. One of my new-year resolutions is to improve the site's SEO, in other words, attract more visitors by improving our standing on the various search engines. One of our failings is lack of mentions in social media. Without wishing to stereotype FICC members or stamp collectors in general, they are not likely to be the most active users of social media simply because most did not grow up with it. I have added buttons to the home page to share the site on Twitter, Facebook and LinkedIn and to email it to a contact. If you have an account with these services, please click and share it, then come back every month-or-so and do it again. Detail pages are now in place for the first four pages of the FICC catalog, 1840-1899. I am taking a short break at this point to work on another project, but will be back on duty writing FICC pages by the time of the next quarterly report. This article is available online at www.goo.gl/hkVqST. Type that address into your browser and the online version has all the links already in place, so from there you can just click. You can also scan this QR code to get there. The Africa pages are now in place and by the time you read this, they should have all their links, index entries and other attributes. There will be another batch of stamp images required for which all assistance will be appreciated. The next target is French colonies. We have resumed posting details of the auctions on the web site. Invitations have been sent to all members to join the online forum. You need a google mail or gmail account (both free) to join and to log in subsequently, but forum postings can be directed to your normal email account. The recommendation for this issue is StampWorldHistory, an ambitious site and of particular note are its flowcharts of stamp issues. French African colonies will be linked on the web site as this was very useful in building the Africa web pages. I have been giving some thought to whether we should give some approximate prices on the site. The 2006 WPE display included an analysis of first issue prices and I think collectors would find it helpful to judge and prioritise what they can afford. If we go ahead, I only envisage doing so for the FICC catalogue of #1s and only giving an indicative price range. This leads to the question of format as space is limited, catalogues exaggerate, intellectual property rights might apply and approximation will mean I will not have to revisit the exercise. I am no mathematician and do not want to transgress any conventions, but perhaps showing the significant digit and the number of zeros following would work, so 32 would mean about $300, 16 would be a million and “c” would be less than $1. All suggestions welcomed. Watching the site’s flag counter accumulate is almost as much fun as collecting stamps. As at 1st November, we’ve had 373 visitors from 43 countries. Most of those are from the US (43%), then Brazil, GB, Germany and Canada. Our Alexa rating has risen from 26.3 million to 24.4 million. As you might have guessed, Google is #1. This article is available online at www.goo.gl/hkVqST, or www.tinyurl.com/ficcreport, or http://bit.ly/2a9GI9v - just type one of those into your browser. The online version has all the links already in place, so all you have to do is click on one of the underlined words/phrases and you will be transported to that section of the web site. The exhibits pages were developed just in time for the previous issue (v24n3). These are designed to feature displays too long to be shown entirely in the Journal. Consideration was given to the intellectual property rights of the exhibit owners and so the resolution of the displays is good enough to view on screen but not good enough to download and republish by a site visitor. The pdf dowload capability is restricted to members by password. Members must contact Nick Blackburn (webmaster@firstissues.org) to get the login and password. In the last three months, the detail pages for Europe, South America, Central and North America and Asia have been completed. In the countries category, that just leaves the Middle East (in progress at the time of writing) and Africa. Concentrating on sub-groups in this way has made the job easier in that just a few catalogues are needed at one time and the current plan is to continue after that with French Colonies and Indian States, at which point Page 3 of the web site Catalogue should be easy to complete. The WayBackMachine has been taking periodic backups of the FICC web site since October 2002. Some of these include parts of the FORUM discussions prior to the site crash - although the topic replies are incomplete. Nevertheless, the WBM archives give us a flavor of the discussions: this link is from 2006. I have also nominated the FICC site for the British Library's archive. As previously reported, the Journal Index has been brought up to date. I normally read the Journal (Newsletter) on paper, but Kurt Streepy supplied copies on CD for the index build. That has been a revelation - $10 for a full set of all Newsletters on CD is great value for anyone with an interest in stamps and an absolute bargain for first issues collectors. It is proving a valuable resource in writing the detail pages in the web site Catalogue. 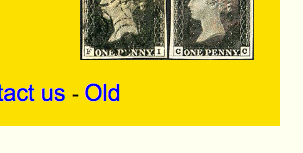 Colnect is a useful secondary source of stamp images. A Flag Counter has been added to the site to log the numbers and locations of visitors. Visit additions are triggered only when someone visits one of four pages (Home, Exhibitions, Forum and this update page). Repeat visits in the same month from a single device are not be double-counted. According to WorthOfWeb, the FICC site is worth $58. It adds that this evaluation is 893 days old but cannot be recalculated because our Alexa rank has fallen below 30 million. FreeSiteWorth puts the value at $741. In the last issue of the Journal (v24n2), I described recent changes to the FICC web site. I intend to provide a quarterly summary of further progress so that members can begin to take advantage of the web site offerings again. Please note that there are two versions of the web site and you can switch between them by clicking Old or New in the header menu: all of these changes refer the new version of the site. Having brought the index of Journal articles up to date, I am concentrating on two main areas. Firstly, I aim to complete the detail pages to go with the existing Catalogue, a long job, probably a few years before completion. Secondly, in parallel, developing a new way of accessing the data by category, linking, for example, all the Dutch Colonies. changes of administration giving rise to new or subsidiary #1s. For the categories, I have used two lists, the main countries listed by Gibbons in the specialized catalogues, and the colonies and other entities listed by Scott at the beginning of Scott Classic. That is a reasonable starting point but there will be problems as work progresses. For example, Gibbons has three volumes (Parts 12-14) titled Africa since Independence and they have not been updated since the 1980s. I also foresee complications in deciding how to deal with Offices Abroad and Occupation Issues. Nevertheless, the plan is working for now. In the beginning, I wrote the new pages chronologically, completing the first and second pages of the FICC Catalogue (1840-59 and 1860-70) but have switched to progressing geographically, starting with Europe, and I now intend to complete all the country categories first. If any other members would like to help in the research, please let me know, especially if you have access to Michel catalogues, as I only have Klassic Europe 1840-1900. You can email me as webmaster@firstissues.org. An interesting aspect of this exercise is the exploration of new resources on the internet and elsewhere. I have used Dead Country Stamps (dcstamps.com) for some time, but have only recently found StampWorldHistory.com and that led me to The Statesman’s Year-Book Historical Companion, published in 1988, which is proving very useful in writing the historical descriptions for the detail pages. I am writing this the day after receiving Journal v24n2 in which suggestions were invited for resuming the FICC bulletin board. Please give this some thought and respond if you have not already done so. There are two versions of the site coexisting at firstissues.org. Click New or Old to switch between them. The Jounal Index has been updated. This is accessed from the Journal page of the new version. A start has been made on the additional detail pages. Those for the first two Catalogue pages (1840-59 and 1860-70) are complete. A feature has been added, listing entries by Category, for example, South America, or Portuguese Colonies. There is now a Category link in the header menu of the new version. Completing all the detail pages will take quite some time and members are invited to help, although how this would be organised is uncertain. One thing we do need to decide on is how to get the Forum going again. The old Forum entries were lost when the site crashed in 2009. Jesper managed to restore older entries from a 2007 backup but the Forum has crashed again. It has been suggested that we try a simpler approach such as a Yahoo Group or similar. It is a debate the club should have and, ironically, it would be very useful to have an online Forum to discuss how to have a Forum. If you have a suggestion or an idea, please share it.